Hello all and welcome back, I am truly excited to be able to write to you about what I feel are two very solid decks going into LAIC and Virginia Regionals. Lost Thunder has added so many different deck options, that I found myself unsure of where to start my testing. The obvious answer was to start with Blacephalon/Naganadel, but I was actually unable to acquire Blacephalon-GXs on PTCGO, so I could not start with testing it. This led me to to start testing quite a few concepts that are supported by Alolan Ninetales-GX LOT, as well as the newer single-prize attacker decks. Unlike a majority of people, I have to worry about LAIC in Brazil before I can even begin to worry about Virginia’s Regionals. This has led me to base my meta prediction more on theory than I would for Virginia, because we have no tournaments outside of Japan to represent the meta. For the sake of time and my sanity, I group Granbull LOT, Alolan Exeggutor, Spread variants, and Buzzwole/Stage 1’s into the category of single-prize attacker decks, because they generally have similar matchups. Going into Brazil, I fully expect to see a plethora of Zoroark-GX, Blacephalon-GX, and single-prize attacker builds. Blacephalon-GX is definitely the deck that I am the most curious to see if it lives up to the hype. I also expect lesser amounts of Rayquaza-GX/Zeraora-GX variants, Buzzwole-GX, and Alolan Ninetales/Stage 2s to make appearances in Brazil. So I have somewhat of a history of playing some rather off-meta decks, but I feel that this one takes the cake for the jankiest concepts I’ve ever considered. Hydreigon CRI/Giratina LOT/Alolan Ninetales-GX LOT. The theory is that you use Hydreigon to discard your bench down to three Pokémon every turn, and use Giratina’s Ability to deal 10 damage to two of your opponent’s Pokémon. With two Giratina there is 40 total damage for every Hydreigon you have in play, making this a strictly better version of Decidueye/Ninetales. You also have the advantage of being a semi-single prize attacker deck, because Hydreigon can discard those pesky Tapu Lele-GX and even damaged Ninetales-GX. When I brought this concept up with my testing partner, Wesley Hollenberg, I was given a guarantee that I would never win a game. I proceeded to win the first three games I played against Blacephalon. This is the list that I’ve been testing somewhat extensively, and I have found it to be incredibly strong. Hydreigon has an attack that for 3 energy, you do 120 damage with the option to discard an energy on both active Pokémon. Normally, this would be relatively unattainable, but with the addition of Counter Gain to the game, we can attack for only one attachment. Alolan Ninetales-GX also has the ability to attack for one energy now, which allows us to drop a Sublimation-GX out of nowhere, which potentially swings the Blacephalon or Buzzwole matchup into an extremely favored position. Between the 80-120 damage that Hydreigon/Giratina add to your opponent’s field every turn, and the damage that your attacks do, you can actually win the game very fast. I opted to play a very heavy line of Ninetales-GX because it is really the only reason the deck works. Being able to find a stage 2 line by evolving to a stage 1 is absolutely insane, and allows us to get at least 1 Hydreigon I play by turn 2 almost every game. There have been times where I’ve dropped three Hydreigon on turn 2. Unlike other decks, bench space is quite literally a nonexistent problem because we discard down to three multiple times every turn. This allows us to play heavy counts of set up cards without being punished in any way. Sadly, this deck cannot capitalize on the release of Professor Elm’s Lecture because Deino has 70HP. This forces us to play a very heavy ball count to ensure we get a healthy amount of basics down on our first turn. Which two switch cards you play is completely up to your personal preference. I’ve tried every possible combination of switches, and I’ve been punished for playing each combo. There will always be situations where the Escape Rope will allow you to make a game winning play, but there are also situations where it will cause you to lose the game, whereas a Switch would win the game. Counter Gain is such an amazing card in this deck because you are almost always going to go down on prize cards. Counter Gain allows us to use all of our attacks for a single attachment, which allows us to trade evenly with most decks. This is a tech I’ve been toying with quite a bit in my head, but have yet to actually try it. In theory it is a card that makes perfect sense in the deck, allowing use to potentially bypass the Beast Ring turns, but I don’t know how effective it would be in practice. I keep trying to justify it in my head, but then I tell myself it only allows me to be more sloppy with my damage placement. Overall, I think its probably a strong tech, and I could see playing it in my final list. These include Keldeo, Entei, Mimikyu and Shaymin. Of these 4, Mimikyu is the only one I wouldn’t play because we already have Giratina as a Psychic type attacker. I feel that these are all strong cards, but move the decks focus away from the original intent, and may just make the deck worse overall. This is an idea I toyed with quite a bit. Being able to Ability lock your opponent is incredibly strong, and can usually buy you at least one extra turn of spread damage. The ability lock also answers on of this deck’s greatest flaws: Machoke GRI. When I tested this concept, I found it to be quite strong, but setting up the extra Stage 2 requires an extra bench space, as well as a Rare Candy. This card has the same stall function as Slaking, but is more valuable against things like Zoroark-GX. This will almost always buy you a turn or two, but is vulnerable to Guzma, which is why I haven’t included it in the list. My opinions on matchups stem from the testing that I have done, and are made under the assumption that I will not dead draw. This is a match up that I think is favored for us, due to the fact that within turns 2-3 we can completely cleanse the field of any pesky Malamar or Inkay. The greatest risk we face in this matchup is in the form of Chimecho. Literally every Pokémon we play that isn’t Deino or Vulpix has an ability. The best course of action if your opponent gets the turn 1 attack with Chimecho is to wall with a Deino, Vulpix, or Shuckle if you play it, and prep your hand for when they inevitably have to break the lock. Another option we have, if we play the Shuckle-GX, is to poison the Chimecho after dealing 10 damage with a Deino. 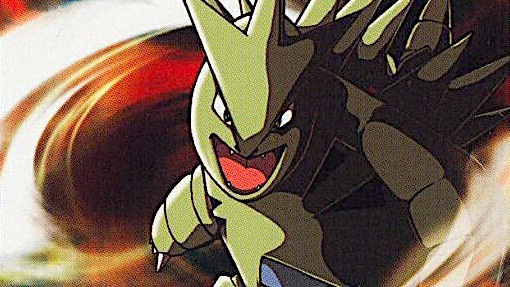 This will cause the Chimecho to be knocked out going into our turn, which allows us at least one turn of evolutions. If they got to use Marshadow-GX to lock us, Shuckle-GX is your best answer. Or just let them take a KO and then use a Giratina to KO the Marshadow. Basically, target down the Malamar, and you should be fine. This matchup feels favored to me, and nigh upon free if your opponent doesn’t know how to play the matchup at all. The optimal strategy here is to do at least 50 damage to any benched GX, preferably Blacephalon, then use Sublimation-GX to take your first KO. They will be forced to KO us with a Blacephalon, which is hopefully damaged, but if it’s not, we have to Guzma up a damaged GX and KO it with either Giratina or Hydreigon. Originally, I thought targeting down any benched Naganadel was correct, but the game rarely lasts long enough for you to knock them out. I would only target them when my opponent is drawing a slow hand, which gives me some extra turns. Basically, only let them get one turn of Beast Ring. Another mostly favored archetype. Generally, most of these rely on low HP basics like Exeggcute, so as long as we get multiple Hydreigon down early enough, they will be stuck with only 1 evolved attacker, which we can just KO at our leisure. For Granbull, the best way to win is to target down an Magcargo and Slugma that touch the field. Buzzwole/Garbodor is the only single-prize deck that I can ever see giving us much trouble, but I think it has fallen out of favor with most players. This is another group of decks that I would love to find myself sitting across from. Ninetales-GX just so happens to be a Fairy Type, so it can handle Rayquaza-GX rather well. Combine this fact with our spread damage, and you have a relatively easy matchup. This is the matchup I am most afraid of, simply due to the fact that it’s so fast, and doesn’t require low HP basics that I can snipe. However, we do have somewhat of a saving grace in that Giratina is a Psychic Type Pokémon, so we are able to handle Buzzwole-GX with relative ease. Our targets with our spread damage should be whatever avenue allows us to take 6 prizes in the fastest way possible. Sublimation-GX also allows us to steal 2 prize cards at some point in the game as well. If you are playing the Lycanroc variant, it would be prudent to target down the Diancie Prism Star as early as possible. 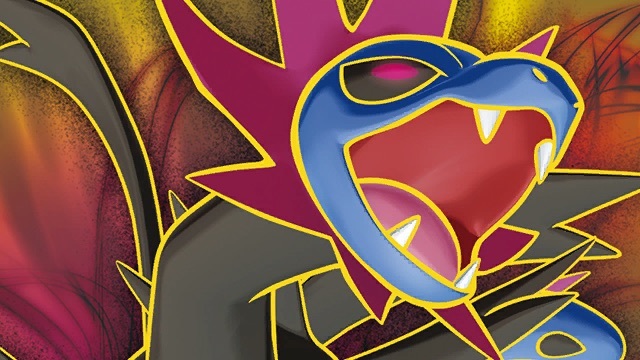 Zoroark is and always will be on my radar of decks to beat going into a major event, but Hydreigon doesn’t have the greatest of matchups against it without playing cards like Shuckle-GX and Tapu Lele. While the matchup is still winnable, it is more difficult without those 2 cards. The strategy that I would prefer to follow in this matchup is to eliminate my opponent’s Double Colorless Energy using Hydreigon’s attack. If we do this, it becomes much more difficult, and sometimes impossible, for Zoroark to beat us. As for our spread damage, it is best to take a KO on any strangling Zorua or whatever little basics our opponent plays whenever possible. Otherwise, it is preferable to damage things until they have 120-130 HP left so we can use an attack to take the KO. This is one of the weirder lists I’ve tried lately, and it didn’t leave me disappointed. The list feels somewhat greedy once you realize that I tried to blend the Lillie/Nest Ball engine with a Professor Elm. Even if this looks a little weird, I assure you that in my experience it works fine. This is actually one of the most important techs in deck even though it may not seem like it. This doubles as an energy acceleration method as well as a way to beat Buzzwole. Pupitar has a very convenient ability that prevents all damage done to it the turn it evolves, so we can use that turn to accelerate energy with Turbo Strike. So our attack doesn’t do much damage. Good thing we can add a whopping 60 damage to our attacks, which allows us to KO most anything that isn’t Zoroark-GX or a stage 2. We do have a GX attack that will take one big KO, but we still need ways to take one-shots the entire game. You might notice that I have somewhat of an obsession with Counter Gain. That’s because the card is absolutely insane. Being able to make things like Tyranitar attack a turn earlier is vital when making decks like this work. We can also use it to attack for a single energy with Solgaleo-GX. The only reason I want to avoid playing more Solgaleo-GX is because our consistency would be hurt too much. If you wanted to do this, you would have to cut from the Tyranitar line. This would just help to ensure that we can attack more often. Max Potion might actually be very strong in this deck, and with the addition of Counter Gain, we can spam Turbo Strike for a single energy every turn whilst healing and accelerating to our bench. This matchup is extremely favored as long as you set up, because you put their energies into the Lost Zone along with their attackers. Solgaleo-GX even prevents Marshadow-GX from actually taking KOs on our Tyranitar-GX. This is a matchup that I am admittedly unsure of. In theory we can Lost Zone any energy that stay on the field after a Mind Blown, but I don’t believe that it’ll be enough to actually win. This is probably the deck’s worst matchup, but it’s winnable. So, the whole premise of these decks are to stream 6 one-prize attackers, but what if we send the first ones to the Lost Zone? In my testing, I have been able to beat Granbull, Exeggutor, and Spread. The overall goal here is to take enough KOs to cripple their deck before you lose the prize race. This is another matchup that I’ve found to be very favorable assuming we set up at a decent pace. The ability to remove 3 Energy from the game with every KO is crippling for Rayquaza. Our best path to victory is to KO whatever Pokémon has the most Energy attached to it. Setting up Solgaleo-GX is a vital part of this matchup, because if you don’t, you win likely be run through by whatever Fighting Type attacker they set up first. You goal in the matchup is to take your prize cards as soon as you physically can, because you will outpaced by Beast Ring. I would say this is as close to a 50-50 matchup as you are going to get with Tyranitar. Generally, I’ve found Zoroark to be favored unless they play Lycanroc-GX. Dangerous Rogue-GX is the only way they will be able to one-shot you once you get Solgaleo-GX set up, but that can potentially take turns to actually do. On top of that, unless you go first, it is fairly easy for them to KO you Cosmog. I personally feel that I could beat any Zoroark Variant, but I would be very nervous about the Zoroark/Lycanroc matchup. How I do in Brazil is going to be important to how my year plays out, and I am confident that both of these decks hold the potential to go very far in the event. Of course I might end up being scared into playing a safer choice, but I truly feel that I will likely end up playing one of these. As always, I’ll see a few of you in Brazil, and a lot more of you in Virginia the following weekend. Feel free to come up to me or message me with any questions you might have, related to what I’ve written or even just general questions. See you in the next one.